…and it can fit into your LCHF lifestyle. Surprise! 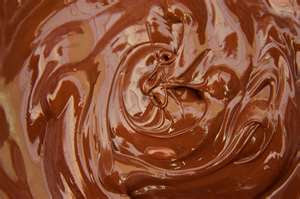 I admit that I am a chocolate fanatic. Always have been and always will be. When I restarted strict LCHF in early August, I made some promises to myself. One of those promises was that I would find a way to make regular, decadent chocolate consumption compatible with LCHF. Guess what I found out? 30-40 grams of dark chocolate, eaten every day, is ridiculously good for you. Plus, if you are choosy with your chocolate, you can easily find bars that contain 30-40 gram servings containing 10 or fewer grams of net carbs. How Can Dark Chocolate Possibly Be a Healthy Part of my Diet? According to Norman Hollenberg, professor of medicine at Harvard Medical School, epicatechin could potentially get rid of 4 of the 5 most common diseases in the western world, including stroke, heart failure, cancer and diabetes, and should perhaps be considered a vitamin. This is based on observational studies of the Kuna people of Panama, who consume significant quantities of natural cocoa on a regular basis, and have a very low incidence of the foregoing diseases. In the same article, nutrition expert, Daniel Fabricant, suggested that further studies may show that these diseases are the result of epicatechin deficiency. Here are some more articles about epicatechin that I pulled up. Check it out for yourself: here, here, here, and here. (Note: the last link has a number of journal articles referenced). It Works With Your LCHF Lifestyle! I am n=1 proof of it. You can do this, too. Go ahead and give it a try. Just be CHOOSY with your chocolates and only eat 1 (~10 gram net carb) serving per day! The general rule is this: don't go sucking down anything labeled "Dark Chocolate" – take a look at the label and see how many carbohydrates are contained in one serving. Avoid "low carb" chocolates containing the faux sugar maltitol, as this can produce a sugar-like insulin reaction in your body. Use your glucometer to check your blood glucose reaction to either 1 serving of straight dark chocolate, or one of the above chocolate recipes. Check your ketones and see what happens.